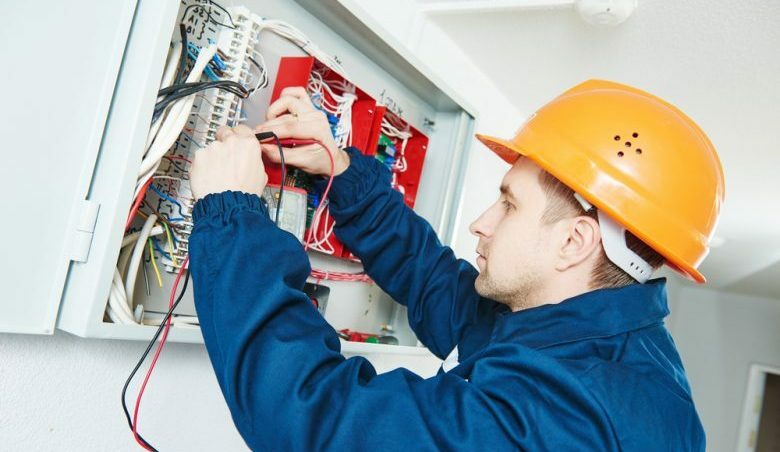 Electricians are like so many other professionals in that it is extremely difficult for an untrained person to verify the quality of their work. Extremely difficult, but not impossible. And only by seeing what the electrician’s work looks like will you be able to make an informed decision. First, know the difference between a journeyman electrician and a master electrician. To achieve journeyman status, an electrician will likely have to enter an apprenticeship program. As an apprentice, they must accrue at least 8,000 hours of on-the-job training under the supervision of a master electrician. At this point, the apprentice must pass a state examination to earn their license. Earning master status requires even more of a commitment. To attain it, an electrician must have their journeyman license for at least two years and must pick up an additional 4,000 hours (12,000 hours total) of on-the-job training under a master electrician. Once these requirements are met, the journeyman can request the master electrician examination and, if they pass, become a master. Master electricians should always be in charge of residential or commercial electrical projects. To get to this level, the electrician must have extensive knowledge of the state’s electrical code and proper safety measures, not to mention the kind of technical knowledge a professional needs to do their job. A company that specializes in residential or commercial maintenance will often have quality electricians that they can refer their clients to. And for most people, it’s easier to recognize a quality maintenance company than a reputable electrician. When asking around, it’s best to specify what the electrician will need to do, as this will ensure a precise recommendation. It’s unlikely that an electrician will claim to be a master when they are not, but it is still important to check their license. You’ll need to verify that it is current, as the license can lapse if the electrician does not continue their education. Also, verify that the electrician has the proper liability insurance. This is an occasionally risky field, so the electrician should carry at least $500,000 in liability insurance. Without this insurance, the property owner may be responsible if something happens to the electrician or one of their workers while on the owner’s property. The best predictor of future performance is past performance, so it’s best to check with one of the electrician’s previous clients. Make sure to follow up, too, because they have already been asked by the electrician to act in this role. If possible, look at the quality of the work. Is it neat? Neatness is essential for electricians, as disorganized wiring poses a hazard. Check a service panel, as this is where a lot of wiring is brought together. If it’s organized and neat, then the electrician cares about the quality of their work. Are the cover plates on all switches and outlets perfectly vertical and square? If they aren’t, then the electrician did not properly position the attached utility box (on the rear side of the switch or outlet) next to the studs, nor did they space the utility box from the wall properly. Do not settle for any electrical work that looks sloppy. Sloppiness is a hazard in this industry, and it suggests the electrician is not going to put an honest effort into your job. A quality electrician is a valuable person to know, because there are very few electrical projects that can be safely handled without education and training in the field. Fortunately, property owners don’t have to make a blind decision, as there is plenty they can do to ensure they have a reputable professional handling the job. What Kind Of Work Do Electricians Do?